There's no convenient Carl's Jr. from NYC, but there're several in San Francisco, so it's one of my to-do things while I'm here. 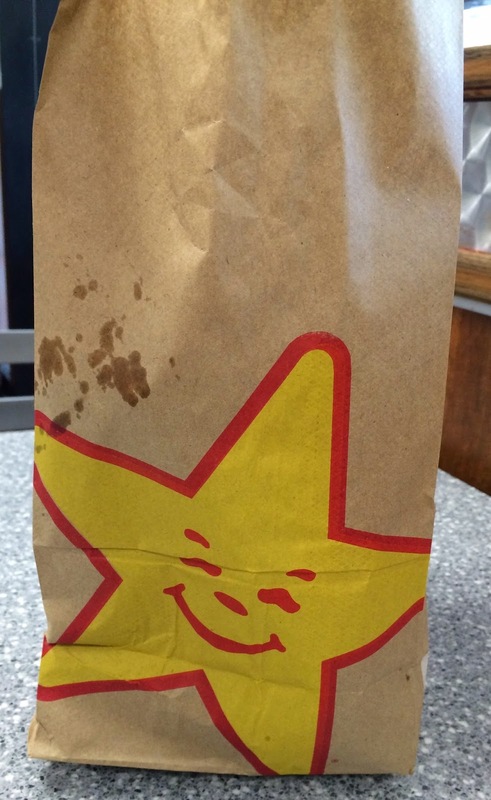 Carl's Jr. was founded in 1941, starting as Carl's Drive-In Barbecue a sit-down and full service restaurant. As the business was successful, they opened a chain of smaller restaurants called Carl's with limited menus, and 1954, the chain was renamed Carl's Jr. and became the fast-food chain. 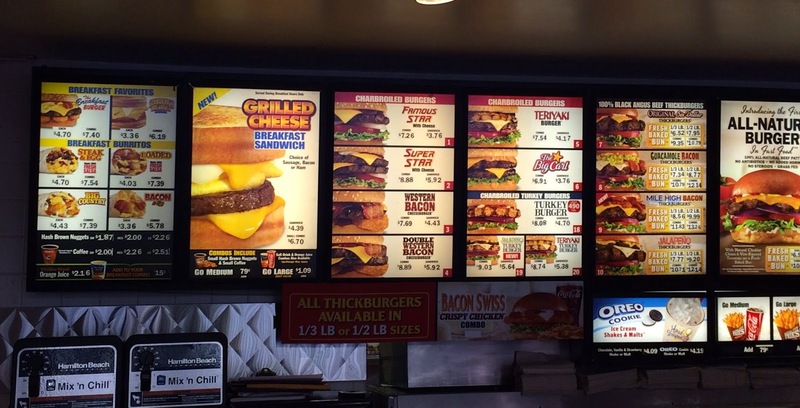 I wanted to get a cheeseburger, and an employee said there're 2 types; Famous Star With Cheese or The Big Carl. 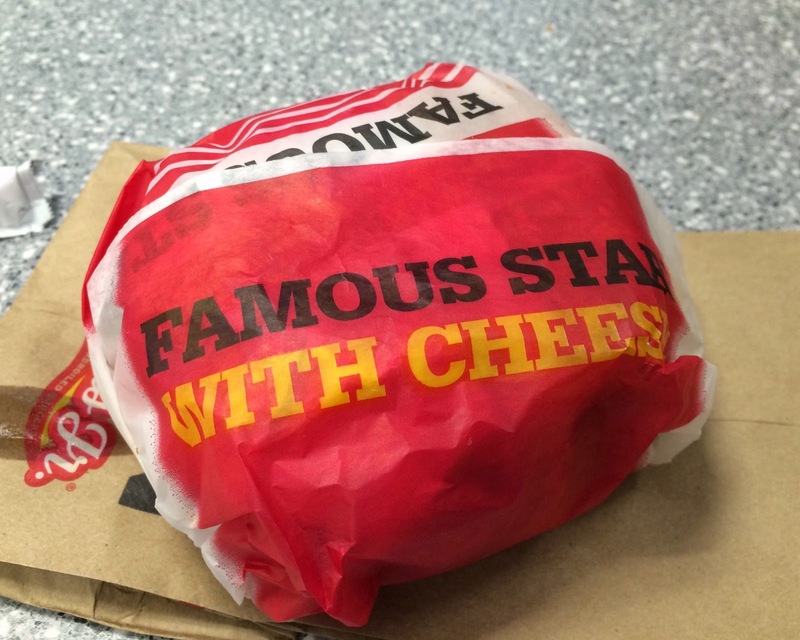 I was checking some burgers before going to the restaurant, and I got Famous Star With Cheese without mayonnaise and mustard since it looked familiar to what I was looking at. The differences are the following. Famous Star With Cheese; charbroiled all-beef patty, melted American cheese, lettuce, tomato, sliced onions, dill pickles, special sauce, and mayonnaise on a seeded bun. 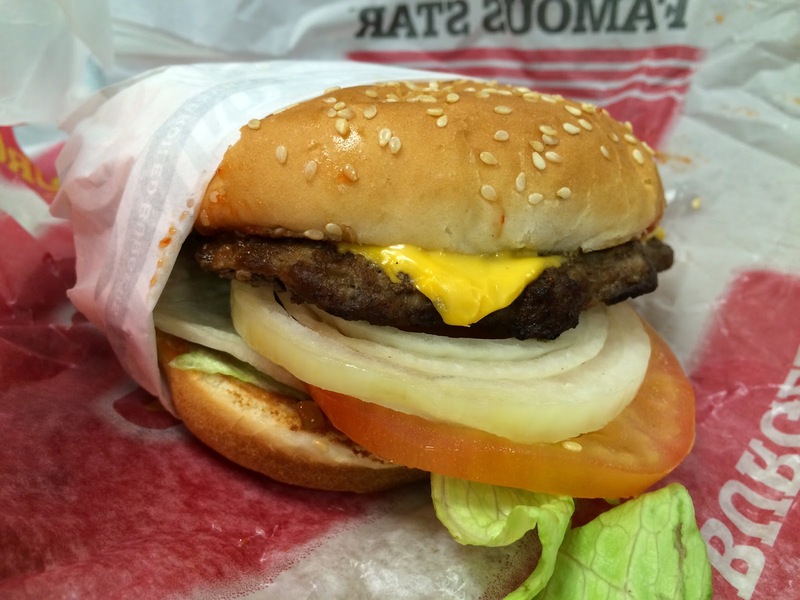 The Big Carl; 2 charbroiled beef patties, their classic sauce, 2 slices of American cheese, lettuce on a seeded bun. Also, I got Crisscut Fries, too. In about 5 minutes, my items were ready, and I was given a paper bag. 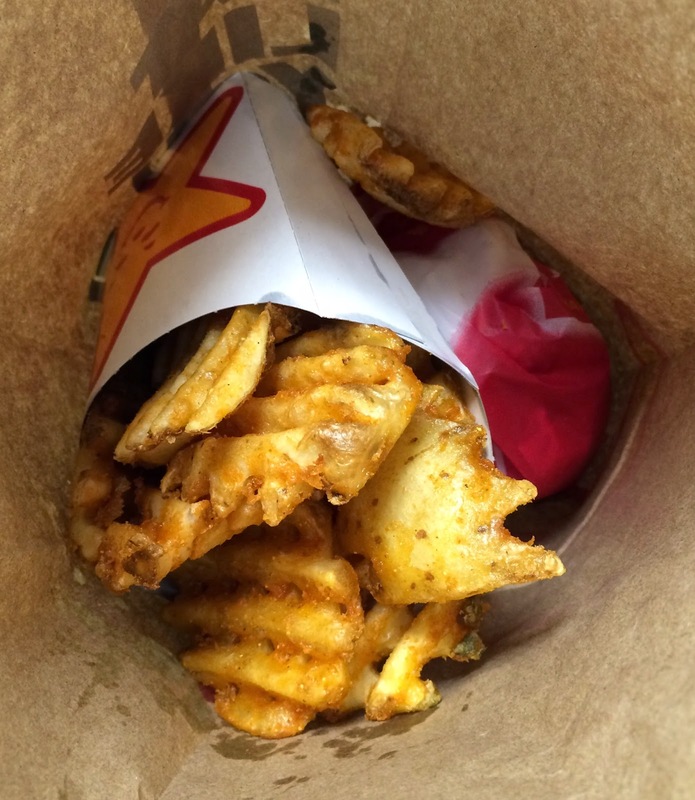 Over the Famous Star With Cheese, there's a box of Crisscut Fries. The wrap actually said "Famous Star With Cheese." 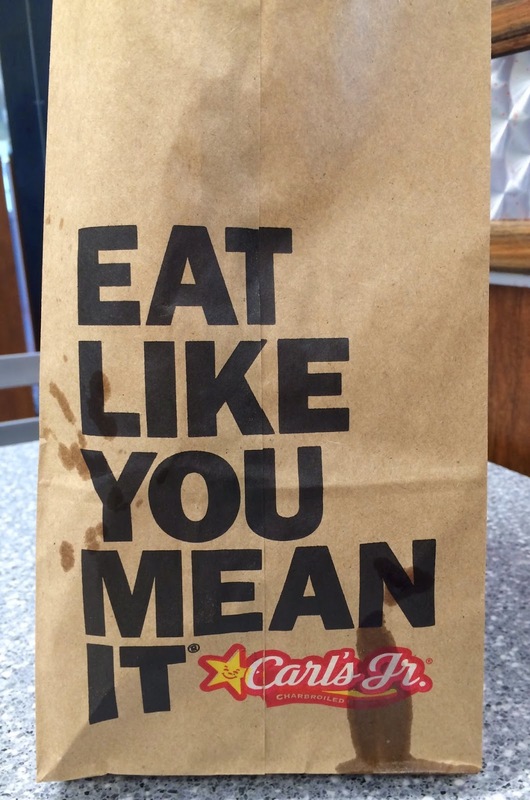 I thought they'd use a mutual wrap which can be used any Carl's Jr. items so it's a kind of neat. 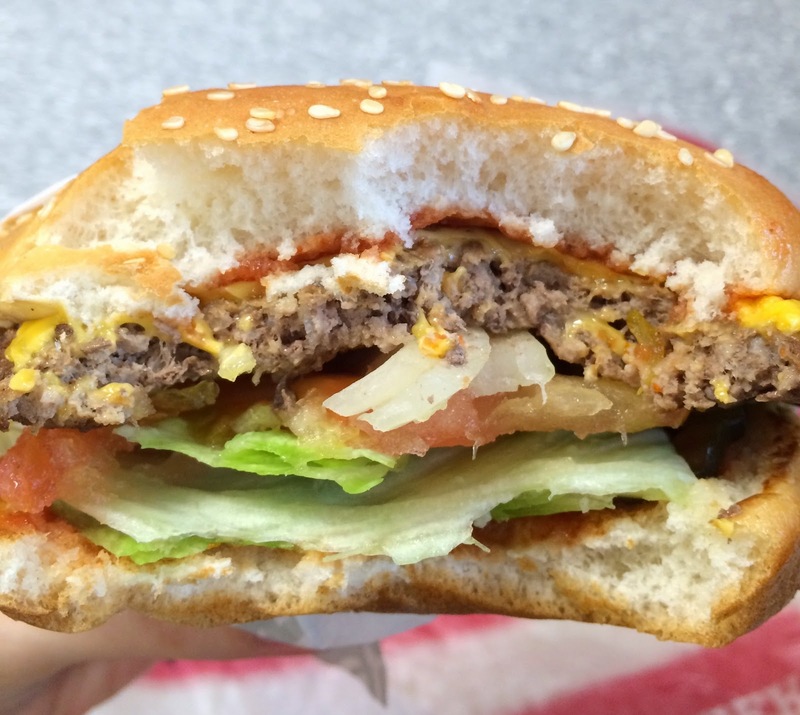 The "half-covered burger" reminded me of IN-N-OUT. The vegetables were slid out, so I pushed them back between the buns. The buns were soft, beef patty was not dried and had nice charred flavor with melted American cheese, and vegetables were crunchy. I'm not sure what they meant "our special sauce" as the spread on the bottom bun tasted like ketchup to me. 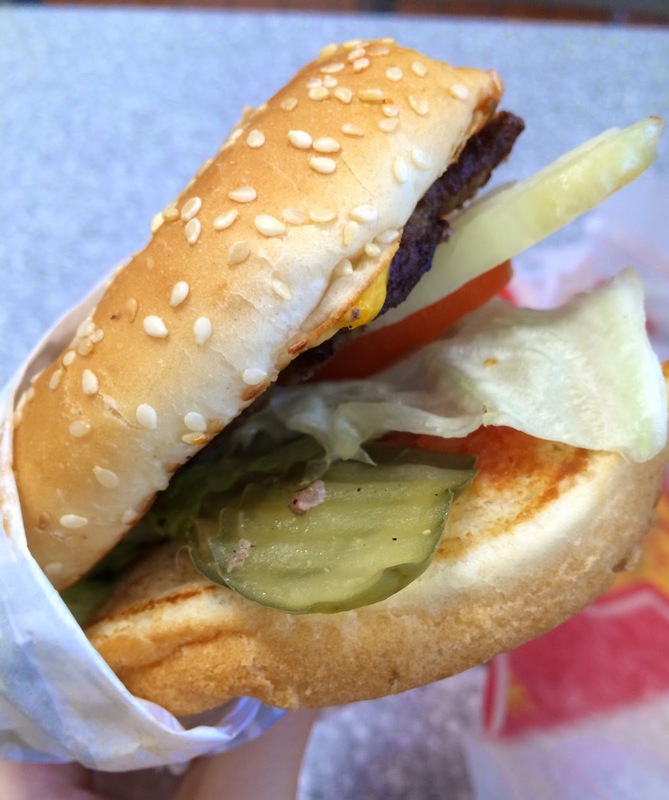 Unlike other burger chains, there're many sliced pickles on the bottom bun. 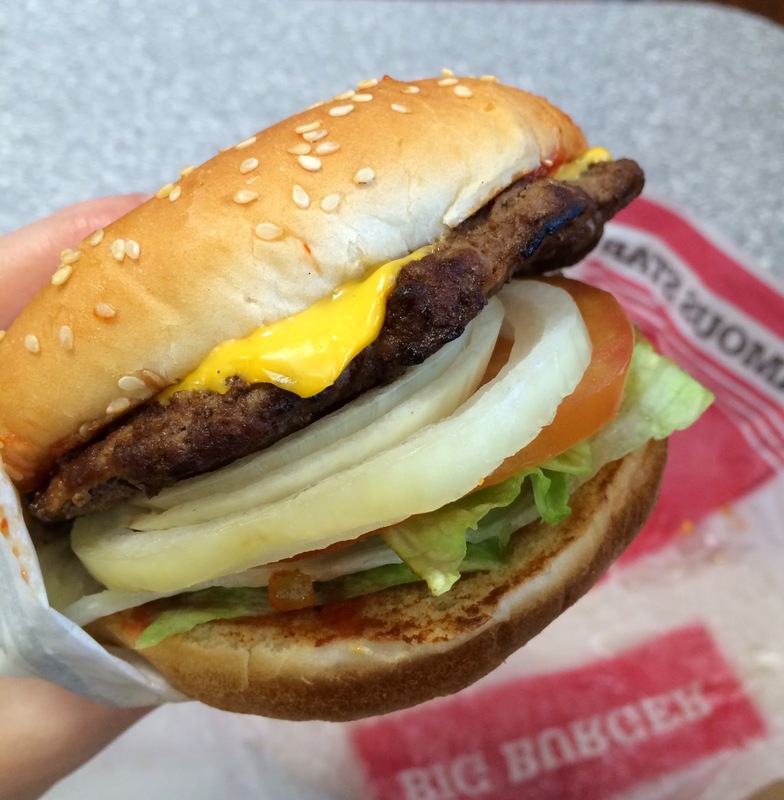 As a friend of mine said, it tasted like a "better version of Burger King."